The drugs and chemicals supplier is making a hostile $5.2 bln offer for Versum, after Barrick’s $18 bln unsolicited tilt at Newmont. Both aim to nix earlier agreed deals, while Roche is injecting $4.3 bln into new tech. Recent market wobbles have not yet dulled merger mania. 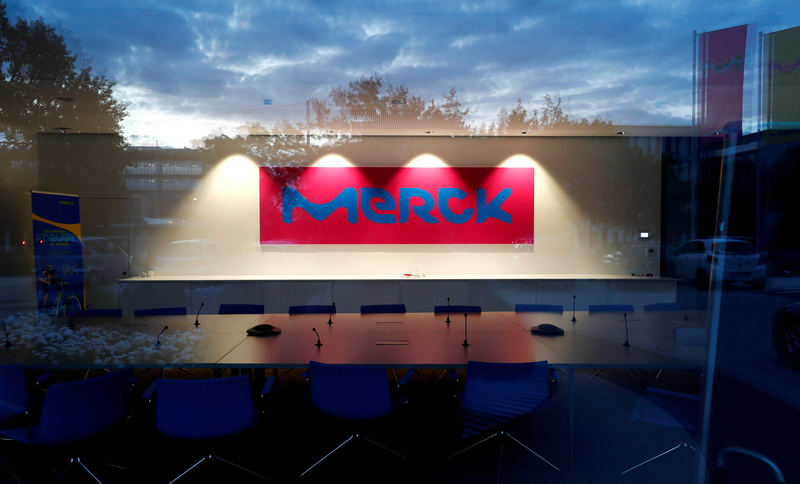 The logo of German pharmaceuticals company Merck is seen inside an empty conference room photographed through a window at the company's headquarters in Darmstadt, Germany, May 16, 2016. Germany’s Merck said on Feb. 27 that it has made an unsolicited $5.2 billion cash offer for Versum Materials. The deal would also include $700 million in net debt. At $48 per share, the offer for the American producer of chemicals and materials for the semiconductor industry represents a 16 percent premium to where Versum’s shares closed on Feb. 26. Versum in January announced an all-stock merger with rival Entegris that valued Versum at $4 billion. In a statement Versum said it still believed in the “strategic and financial rationale” of its tie-up with Entegris, but would “thoroughly review” the Merck proposal.